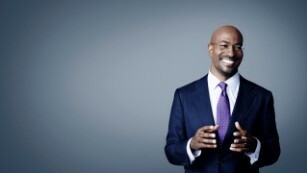 (Van Jones, for CNN) After decades of failed policies, advocates and political leaders finally have swung open the door for fundamental reform in our criminal justice system. The U.S. Senate recently held a major hearing and a committee vote that dramatically advanced the reform agenda. We also witnessed the Brennan Center organizing the nation's top law enforcement officials -- including some who run America's biggest jails -- to call for less incarceration, not more, to keep all Americans safe. President Barack Obama, meanwhile, took dramatic steps this week tohighlight the need for smarter re-entry programs for those who have paid their debt to society. These developments come on the heels of other bipartisan bills in the U.S. House of Representatives, theSentencing Reform Act of 2015 and the more comprehensive SAFE Justice Act, which has 56 bipartisan co-sponsors. Moments of opportunity like this come along once in a generation. And while the door is open, we must work hard to implement the smartest solutions with the greatest impact possible. We especially commend the leadership of Chairman Chuck Grassley, R-Iowa, and other members of the U.S. Senate Judiciary Committee, who wrote and voted to pass the Sentencing Reform and Corrections Act. The bill was the result of months of tough negotiations. It's a good start. As it moves through the legislative process, we see four ways to strengthen it. Bolder mandatory minimum reform. "Mandatory minimum sentences" for low-level drug offenders have been the key driver of the astronomical growth of the federal prison population, which has exploded by nearly 800% since 1980. The problem with mandatory minimums is that they are very powerful, but blunt instruments. They do not distinguish between someone who has drugs on their person because they are a serious drug pusher or because they are simply an addict -- or even someone whose boyfriend pressured her to hold his stash. A better approach would be to "let the judges judge" by restoring evidence-based discretion. Lower-level drug offenders should not receive long mandatory minimum sentences. Judges should craft a punishment that fits the crime, one that helps steer an offender toward a better path. This is a big deal. Drug offenders represent almost half of those in federal prison and close to two-thirds of those being sentenced to federal prison every year. At sentencing, close to half of drug offenders remain subject to mandatory minimum sentences -- which are among the longest sentences available in our system, primarily affecting black and Latino defendants. Fortunately, the Sentencing Reform and Corrections Act moves us in the right direction by reducing some mandatory sentences. It also eliminates some of the most egregious penalties, including the provision that has led to many individuals serving life sentences for nonviolent drug crimes. Also good: The act applies the Fair Sentencing Act retroactively, which would correct some of the injustice inherent in giving longer prison sentences for crack vs. cocaine. It expands the "safety valve," which allows judges greater discretion for some drug offenders with nonserious criminal histories. All this is good. Unfortunately, the bill currently leaves in place long mandatory prison sentences for far too many people, including for huge numbers of lower-level offenders. The Senate legislation does not eliminate a single mandatory minimum sentence, despite the abundance of evidence that mandatory minimums cost a lot of money, often lock up the wrong people for too long and don't keep us safe. While reducing the length of some mandatories, the act also adds some mandatory minimums, and expands eligibility for others. There is still time for the Senate and House to pass more aggressive measures to scale back the use and abuse of mandatory minimum sentences. Alternatives to prison and rehab. Too many people in prison simply should not be there. For them, drug treatment, mental health care, intensive rehabilitation and job training are better alternatives. Prisons have too often become warehouses for the mentally ill and the addicted. This approach doesn't work, and it doesn't keep us safe. For that reason, numerous states have set up drug courts, mental health courts and veterans' courts. They have seen tremendous results, including lower re-incarceration and cost savings. These courts are much more effective in identifying people who need help -- and how to help them. Significant federal criminal justice reforms should include incentives for federal districts to establish these problem-solving courts and allow for judicial discretion to pursue alternatives that can change behavior without incarceration. For our neighbors and family members who struggle with mental health and addiction, prison should be the very last resort, not the first option. The federal reforms should also make bolder, more sweeping investments in rehabilitation, job training and education. 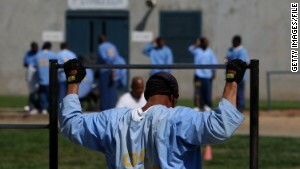 It should broaden the incentives for inmates to participate. Most individuals who are incarcerated will eventually get out. We need to make sure they are prepared for the day they re-enter the community. Finally, individuals with disabilities make up a disproportionate percentage of the jail and prison population nationally, yet their needs often go unmet. Federal reforms should ensure that programming, accommodations and treatment address their unique needs. Policing reforms. While addressing sentencing and corrections reforms, we should also improve our system of policing through better data collection, wiser training and smarter investments. Legislation this year must also enhance police accountability, transparency and community trust. Americans, especially in communities of color, have taken to the streets over the past year, calling for a change in police practices. Advocates, the police and policymakers have identified common ground; we should enshrine it in law. Comprehensive criminal justice reform therefore should invest in de-escalation training for police officers and alternative approaches to mental health crises, an end to policing that is for-profit or militarized, and investment in body cameras and the establishment of standards and reporting of police use of deadly force. Re-entry reform for long-term success. Some 70 million to 100 million people in the United States -- more than a quarter of all adults — have a criminal record. Upon returning home from prison, they face laws and policies that restrict their access to some of our most basic rights and privileges. Many are denied the right to vote, employment and housing. They are often denied business licensing and parental rights. It is tragic but not surprising that 50% to 75% of all people who return home from prison end up incarcerated again within five years. When someone leaves a physical prison, it is cruel and foolish to keep them locked in an economic and social prison -- without hope or opportunity. It is therefore critical to the long-term success of any reform efforts that we include provisions that help restore economic and civic participation. After they have paid their debt to society, men and women should be able to lead full and productive lives, contribute to their communities and support their families. It is time to end the revolving door of our criminal justice system. The Sentencing Reform and Corrections Act calls for a "best practices" working group to be formed. But we have already seen evidence-based probation practices enacted in states such as Ohio and Georgia. They demonstrate that we can bring people home and support their successful re-entry. Similar reforms should be included in any meaningful federal reform bill. Over the past several years, we have seen an emerging consensus that our criminal justice system violates the fundamental values of both political parties. Within the first six months of this 114th Congress, we have seen more agreement and more bills introduced than any other in recent memory. Poll after poll shows that Americans are ready for big changes to our broken criminal justice system. And they're demanding it -- more than 200,000 online activists and 100 celebrities have signed a petition calling on Congress and President Obama to pass a comprehensive bill this year. Smart federal reforms will set the framework and tone for subsequent improvements at the state, local and tribal levels. -- Stop overly harsh penalties and unfair treatment, especially for people of color. -- Invest in alternatives to incarceration that are proven to reduce crime and reincarceration rates. -- Make significant reductions in our overall prison population and corrections spending. -- Improve policing practices through better training, data and investments in communities. -- Restore economic and civic participation to men and women returning from prison. Let's pass a bill as big as this moment.